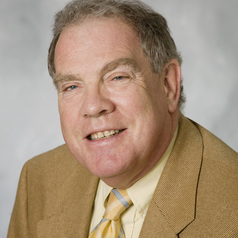 Lawrence J. Whalley MB, BS, MD,DPM,FRCP(E), FRCPsych was formerly the Crombie Ross Professor of Mental Health in the University of Aberdeen, Scotland, UK from 1992 to 2008. He is professor emeritus at the University of Aberdeen and from 2010 part-time professor of research at the University of the Highlands and Islands. Whalley is best known for follow-up studies of 757 Aberdeen City and Shire residents who took part at age 11 years in the Scottish Mental Surveys of 1932 and 1947. He has authored or co-authored more than 280 scientific publications (Google H-index = 65 in 2017), seven books and has contributed to many TV and radio programmes mostly about the dementias of old age. Notably, he co-authored "A lifetime of Intelligence" with Deary & Starr (published by the American Psychological Association in 2009) and "Dementia" with John Breitner (Montreal) in 2002 and 2010. He remains among the most highly cited academic staff members at the University of Aberdeen.